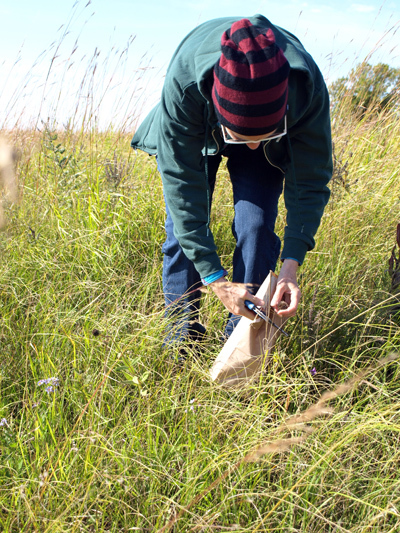 On Saturday, September 22nd a small, but skilled group of volunteers led by Amy Rager, University of Minnesota Extension Professor/Extension Educator and Master Naturalist, participated in National Public Lands Day at Lac qui Parle State Park. 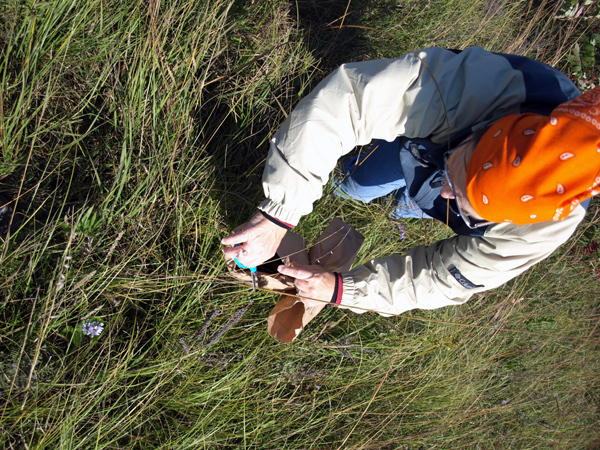 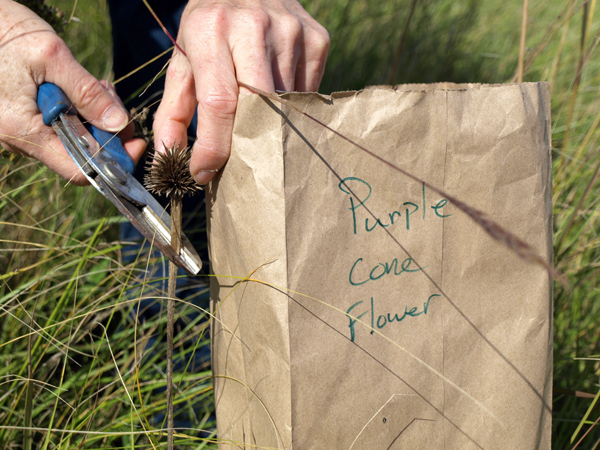 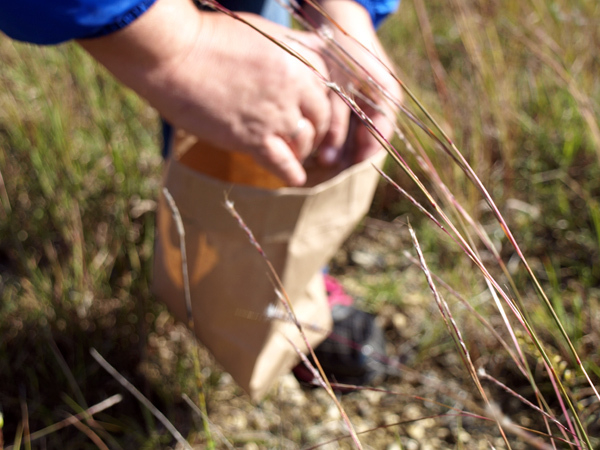 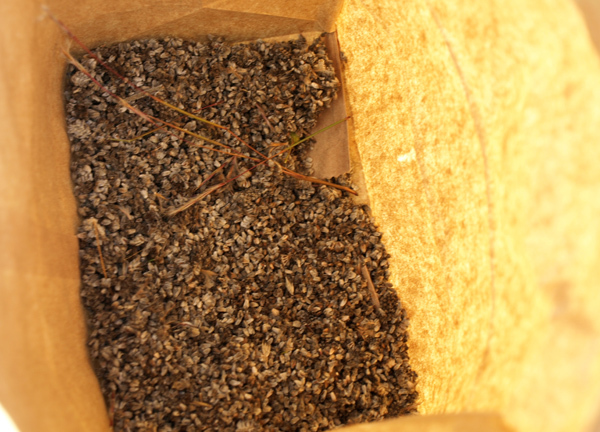 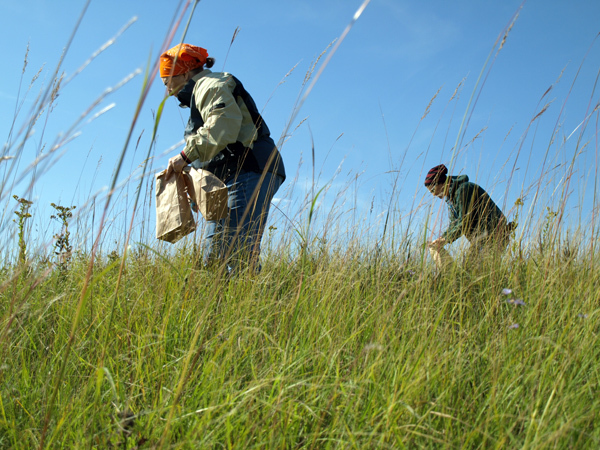 They harvested prairie seeds from the park that will be used to increase the populations of these native plants at other area state parks such as Upper Sioux Agency and Big Stone. 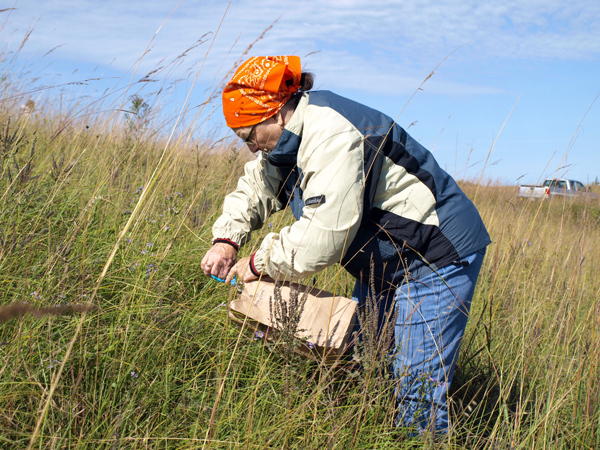 They were collecting white clover, purple clover, wild onion, liatrus, and coneflower. 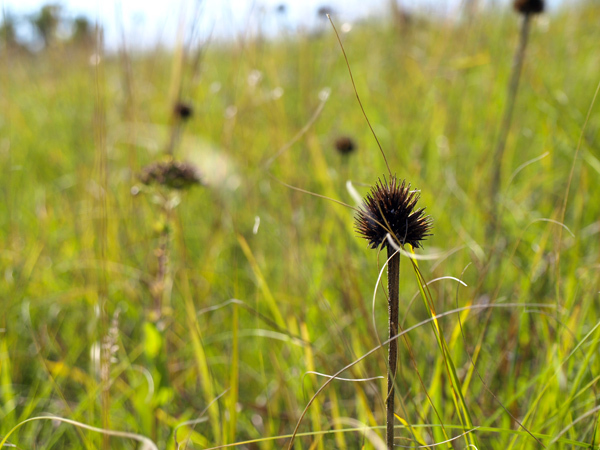 Coneflower seed head in the prairie sea.